Have you ever wondered what your birthstone was? You may be surprised to find a variety of options, from alternate gemstones to varieties and colors you never knew existed! Birthstone jewelry is perfect for birthday gifts, Mother’s Day gifts, and push presents given when a new baby is born. We have many examples in our store of birthstone jewelry and loose gemstones for custom jewelry. January babies are quite lucky to have this gemstone because it is found in a variety of beautiful colors. 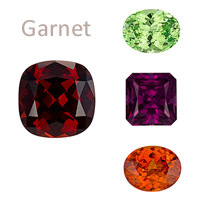 The most common shade of Garnet is a deep red, however more rare colors include orange, yellow, green, and even blue. The birthstone this month is Amethyst. This is a variety of quartz in a royal purple hue. 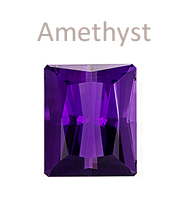 Amethyst is a fairly common gemstone but it can be exquisite when the color is rich and saturated. Did you know that up until the 19th century they were just as valuable as Rubies? 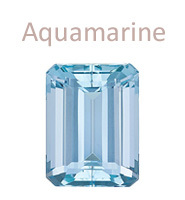 The birthstone this month is Aquamarine. 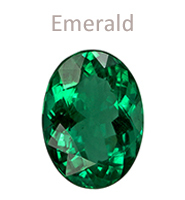 It is a member of the Beryl family and related to Emerald. This lovely light blue stone was said to calm waves and keep sailors safe at sea. It was also thought to enhance the happiness in marriages. 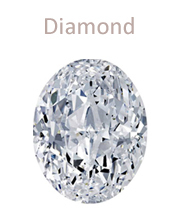 Diamond is the birthstone for all the lucky April babies. Diamonds are the hardest substance that we know of today. They form under high temperature and pressure conditions, brought to the earth’s surface by ancient volcanic activity then often found in river beds and beaches. Emeralds are precious stones of a rich green color- the most famous member of the beryl family of gemstones (which also includes Aquamarine and Morganite). Legends endowed the wearer with the ability to foresee the future and protect against evil spells. 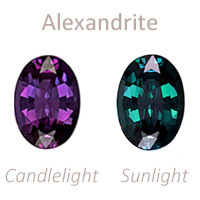 Alexandrite is a birthstone for June, along with Pearl. This exceptionally rare and valuable gemstone has color-changing abilities. Most change from blue-green to purple-red, depending on the warmth of the lighting. 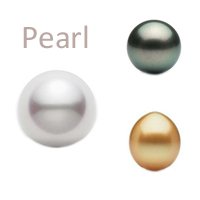 The elegant Pearl occurs in a wide variety of colors, depending on the lip color of the oyster or mollusk. Cultured Pearls develop inside a shell and start as a bead that the oyster gradually coats with layers of translucent nacre, giving Pearls that desirable luster. Rubies are a transparent deep red variety of corundum – related to Sapphires. Red is the color of our most intense emotions- love and anger, passion and fury. Early cultures treasured Rubies for their similarity to the color of blood and believed they held the power of life. 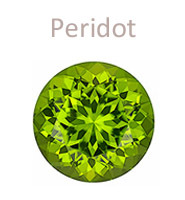 Meet the newest addition to the birthstone list. 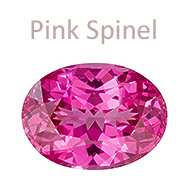 Pink Spinel is a vibrant, fiery shade of pink and looks great as an alternative to Peridot, or combined with it in a summer-inspired design! 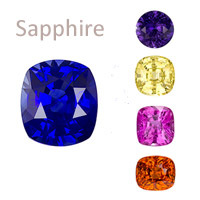 The birthstone this month is Sapphire. This gemstone is best known for its rich blue color. The mineral, Corundum, is found in every color of the rainbow! 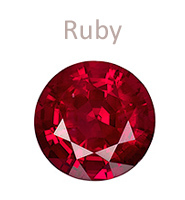 When it is red it is called Ruby; any other color is considered a fancy Sapphire. 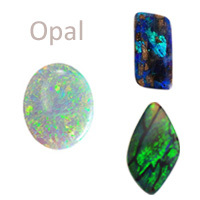 One October birthstone is the Opal. Containing colors of all the other gemstones, the Romans thought it was the most precious and powerful of all. The Bedouins believed that Opals contained lightning and fell from the sky during thunderstorms. 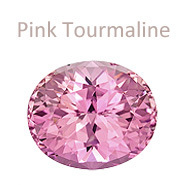 Pink Tourmaline is also an October birthstone. Found in a variety of colors, it was originally mistaken for other gems. The gems in the Russian Crown Jewels, believed to be Rubies for centuries, are now thought to be Tourmalines. The traditional gem for November is Topaz. For centuries, many people in India have believed that topaz worn above the heart assures long life, beauty, and intelligence. 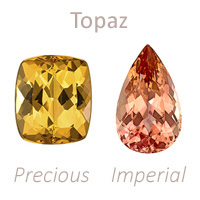 Imperial Topaz is the most desirable, found in shades of peach. 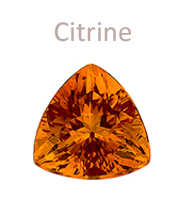 The alternate birthstone for the month of November is Citrine. This is the orange-yellow variety of quartz that is popular today for its attractive color, its durability, and affordability. 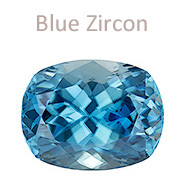 Don’t mistake the name of Blue Zircon for cubic zirconia! Zircons are natural gemstones with brilliance comparable to diamonds. Zircons mined from Australia are 4.4 billion years old – making them the oldest mineral on earth! 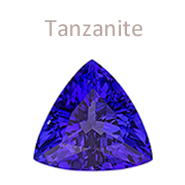 Another birthstone for December is Tanzanite. Tanzanite is a fairly recent discovery and is only found in one place on earth, making it truly rare. They are mined from the base of Mount Kilimanjaro in Tanzania. Stop in and discover the beauty of these gemstones in person! Many of these beautiful colors are available in a variety of shades and cuts. Contact us or stop by to design a custom piece of your own! We work in platinum, palladium, 14Kt, 18Kt, yellow, white or rose gold.